This is one of the biggest surprises that Ilocos gave me. 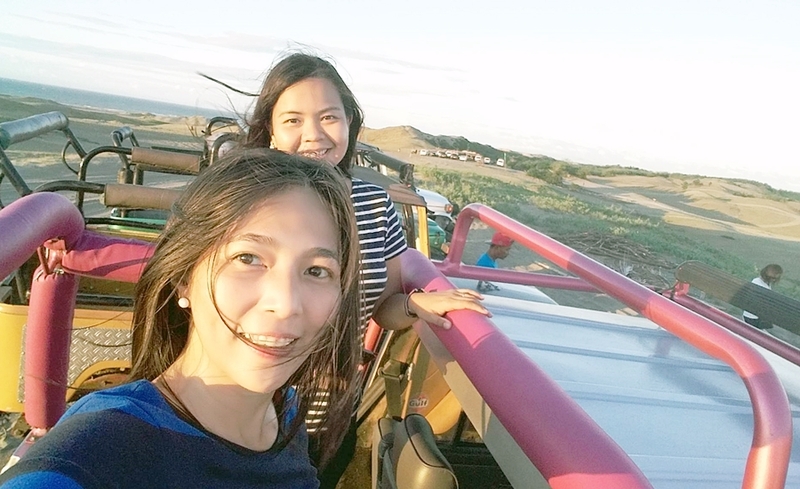 When in Ilocos, don't ever skip the sand dunes adventure. Riding a 4x4 vehicle on the steep terrains is one of the extreme adventures I made in my lifetime. 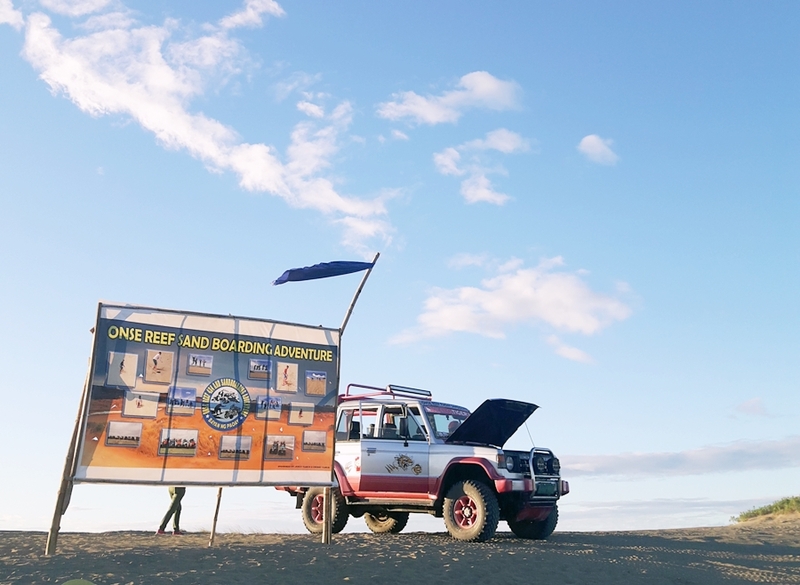 I was already familiar with the sand dunes and sand boarding activities in Ilocos. What I didn't know was the off road adventure. Riding a 4x4 vehicle while braving the unpredictable terrains was one for the books. I was screaming while keeping my balance and grip on the huge bars of the 4x4 truck. My heart would skip a beat every time the truck slides down an almost, 90-degree terrain. Take note, we were standing during the entire ride. I was nervous and exhilarated at the same time. I can't wait for the entire adventure to finish but at the same time, I was enjoying the view of the unexpected desert experience. If this area of Ilocos would be considered as a real desert, I could say that this was my first time to see one. The ride was already an attraction for me. But when we reached the farthest end of the desert, we were treated to another priceless experience. I once again saw what seems to be an endless horizon of the sea. We had the sand dunes adventure late afternoon. It was probably around 4 pm, which for me is the best time to experience. Morning or afternoon may cause painful sunburns. Late afternoon is perfect because exposure to UV rays is lesser (I believe), added to this the perfect view of the sunset. Look at that lovely weather! Any chance I can come and live with you? Haha. I've had enough of the cold. And it's only january... Sigh. Your adventure sounds wild and fun. I would have been screaming too. 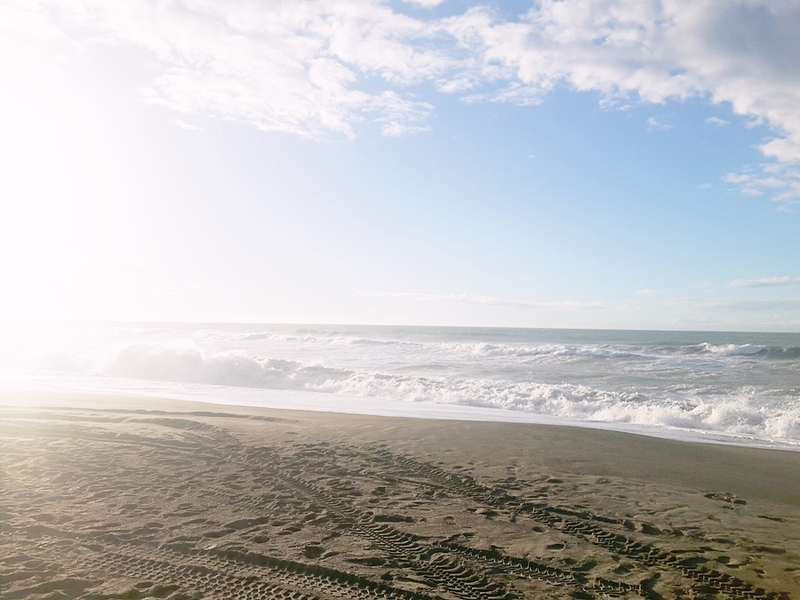 And then the treat of seeing the endless sea horizon.